Heating Engineer Bromley - Gas Safe Approved | Contact Us Today! At AS Plumbing and Gas, we promise the best quality heating engineer services from our expertly trained team. If you’re currently in the Bromley area and require heating engineering service then you’ve come to the right place. Our team specialise in Heating Engineering and all aspects of the industry. We promise the best quality work and will resolve your problem as quickly and efficiently no matter the scale, be it major or minor. In total, we provide 7 different boiler services and 9 central heating solutions. If you feel as if you require one of our Heating Engineers, then call one of our friendly team members on 0203 602 8946. On our website, you can also request a free estimate for Heating Engineer services, to request a free estimate, click here. If you wish to find out more about Heating Engineers or are confused by what services they offer, then read on and we will provide you with all the information you need. As the name suggests, a Heating Engineers job is to install and maintain the heating systems in a property. A properties heating systems include all of the gas utilities as well as appliances such as stoves and heaters. Heating Engineers can work in residential, commercial or industrial properties to implement solutions for the needs of heating. Most Heating Engineers focus solely on heating and do not venture into any other aspect of work. To find out what Heating Engineer services we offer at AS Plumbing and Gas, then click here. When would I need a Heating Engineer? If you have a problem with any of your central heating systems, then it may be in your very best interests to contact a Heating Engineer to resolve the problem. A problem with your central heating can be a problem with your boiler, radiators, cylinder and unvented cylinders, tanks and ball valves, pumps, immersions, thermostats, power flushing and underfloor heating. If you feel as if you have a problem with any of those appliances and you are based in the London or Kent area, then call us on 0203 602 8946 and we will find the best resolution for you. Feel free to explore our website and find out if you may require any additional services. AS Plumbing and Gas also provide expert boiler breakdown repair services. We also can provide boiler installation and modernisation. To find out more about our boiler installation services, click here. Contacting a Heating Engineer early when you suspect there could be a problem could save you a lot of money and prevent you from additional household problems. The first signs that you need a Heating Engineer could be a leaking boiler, banging/whistling noises, intermittent hot water, the condensate pipe has frozen, radiators not turning on, unexplained thermostat issues, your boiler turning off unexpectedly or loss of pressure in your boiler. If you are experiencing any of those issues, call us at AS Plumbing and Gas today on 0203 602 8946. As well as saving money, if you address these issues to a Heating Engineer early, it could prevent boiler or central heating breakdown. When your boiler or central heating is in a bad way, time is your worst enemy. If left long enough, you could eventually need an entire new boiler and heating system. Without a working boiler and heating system, your house could be left with no hot water, meaning hot showers and baths will not be possible and nights could be freezing cold. If you can report a problem to our team at any given time, we can get to your property quickly and in the majority of cases get your boiler back up and running. To report a problem with your boiler, call us on 0203 602 8946. 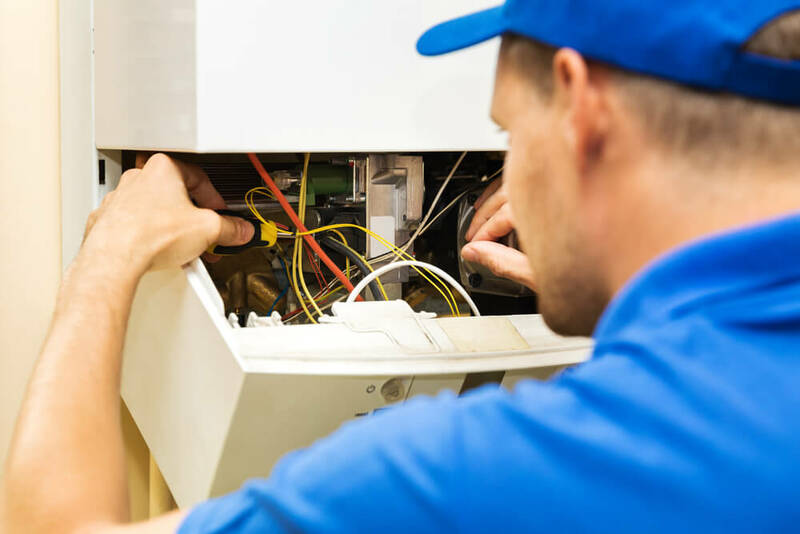 To find out more about the warning signs of a faulty boiler, read this blog post on home focus, to access the blog post click here. A heating engineer is different from a plumber in many different ways however, it is quite common that there services will overlap. Plumbers in some cases are trained to do gas/heating related work. They may be able to do jobs such as fixing your radiator but may not have the skills to be able to repair a boiler. It is possible to hire a plumber to repair heating appliances. If you do so, it is so very important to check that they are on the Gas Safe Register. Any candidate on the register should be able to show proof of their Gas Safe Register. 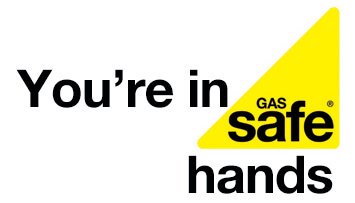 You can also check the Gas Safe Register yourself by clicking here! At AS Plumbing and Gas, we are more than happy to provide you with proof that we are on the Gas Safe Register. At AS Plumbing and Gas, we also have expert plumbing services added to our Heating Engineer services. To find out more about our plumbing services, call us on 0203 602 8946 or click here. We hope this has helped you to understand a little bit more about Heating Engineering! Remember that AS Plumbing and Gas are always prepared to help you with any of your Plumbing and Gas needs. No matter the situation, we promise to give you the best and most effective service. Please also remember the importance of reporting any suspected problems with your Heating Systems! With Heating Systems, it really is a case of the quicker the better! If you have any queries or any more questions regarding Heating Engineering then feel free to call us at any point on 0203 602 8946 or on our contact form page which can be accessed by clicking here.